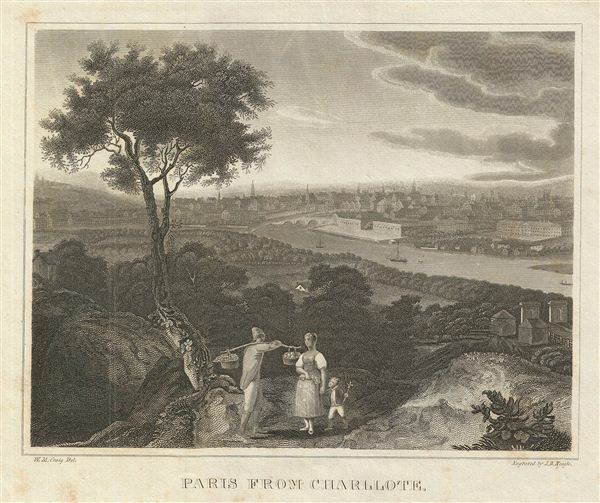 This is an uncommon example of the 1828 view of Paris, drawn by W. M. Craig. It features a lovely view of Paris. The River Seine is visible in the background. The foreground features a fruit vendor, a woman and a young child. This view was engraved by J. B. Neagle as part of Malte-Brun's System of Geography, Vol. I., published in New York by Samuel Walker.